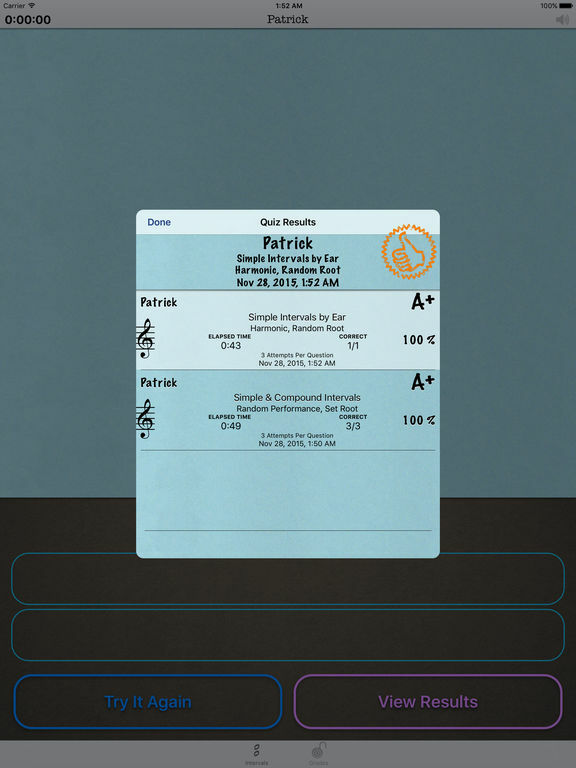 Test your knowledge of Simple and Compound Intervals. 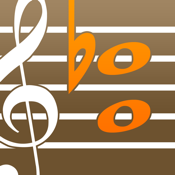 • Set how the question is asked; Playing the interval harmonically, melodically up, or melodically down. • Have the intervals given with random root notes, or in between each question, set what the root will be for the following interval. 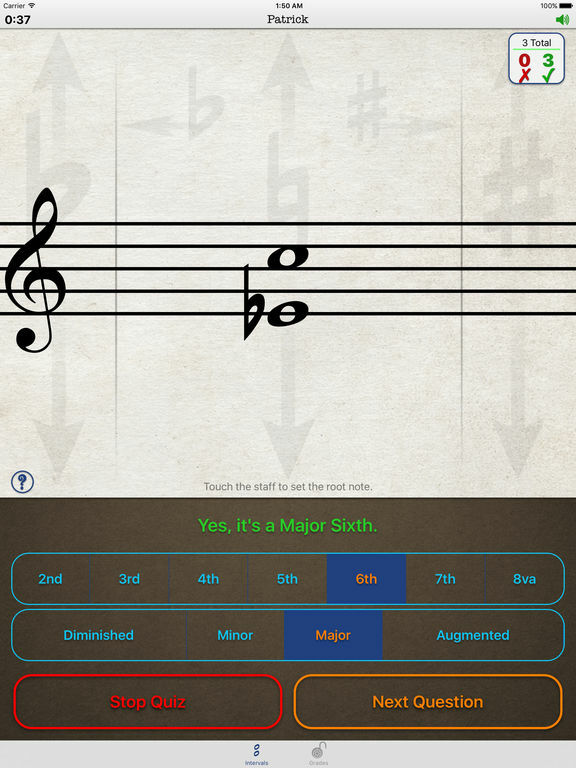 • Simple Intervals covered are major, minor, diminished, augmented 2nds, 3rds, 6ths, 7ths, and diminished, perfect, and augmented 4ths, 5ths, and octaves. 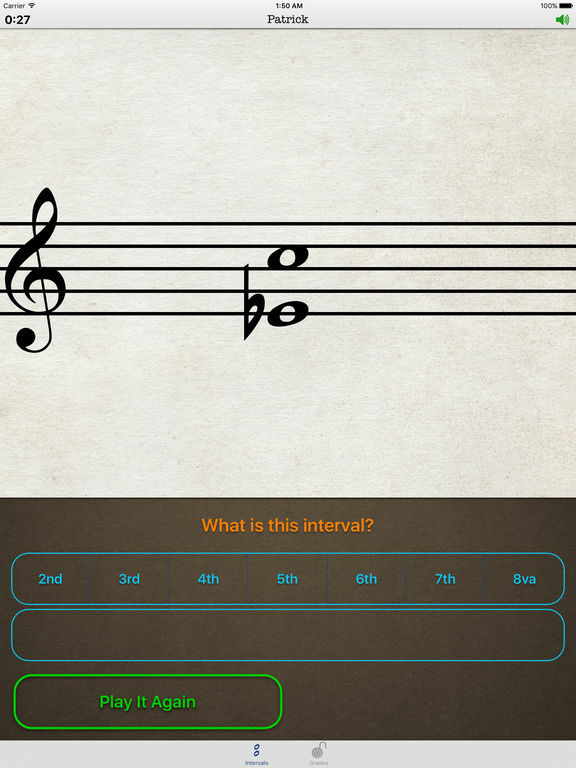 • Compound Intervals are the same as the Simple except the notes are more than an octave apart. 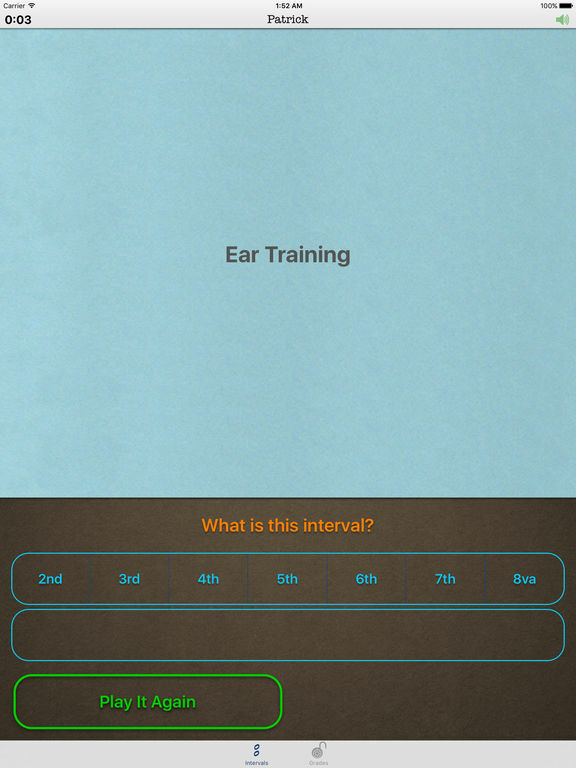 • Test without the sound to work on identifying the intervals by just analyzing the notation. There's a 'Grades' list that contains all saved quiz results. Access to the list can be password protected by entering a password in the iPad's Settings app.